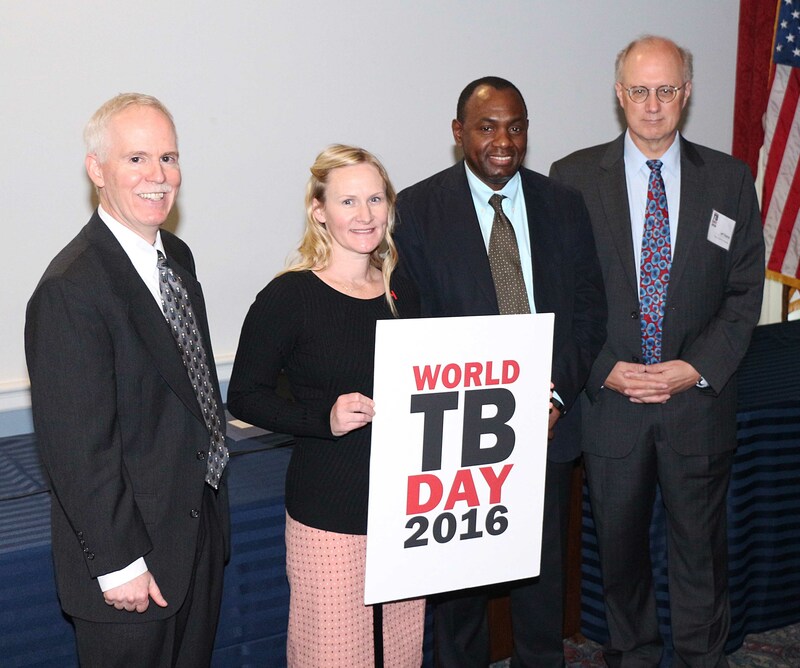 This week, the ATS convened a World TB Day educational briefing for congressional staff in the U.S. House of Representatives entitled, Tuberculosis: The World's Leading Infectious Disease Killer. The panel of speakers included Jeffrey Starke, MD, ATS member and professor at Baylor College of Medicine; Ya Diul Mukadi, MD, Sr. TB Technical Advisor at the U.S. Agency for International Development; Carrie Fritschy, the mother of a child who had TB; and Philip LoBue, MD, Director of the Division of TB Elimination at the Centers for Disease Control and Prevention. The briefing also featured the showing of a brief film of TB Survivors, produced by Aeras, a TB Vaccine public-private partnership. Dr. LoBue presented the CDC's new 2015 data showing the first national increase in TB cases in the U.S. since 1992. Carrie Fritschy, mother of Scarlett Fritschy, who contracted TB when she was just eighteen months old but was not diagnosed for five months, spoke emotionally about the long and difficult process of getting Scarlett's diagnosis. She called for more research and development into new TB diagnostic, treatment and prevention tools, including diagnostic tests and drug formulations for children. Dr. Starke emphasized that TB has "again" become the leading global infectious killer and that we cannot defeat the disease without increased funding for global and domestic TB control programs through USAID and CDC, and research at these agencies and the NIH. From left to right: Philip LoBue, Carrie Fritschy, Ya Diul Mukadi, and Jeffrey Starke.